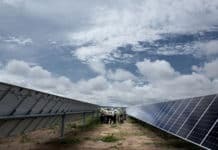 Preliminary results from independent study on perovskite solar technology leader’s photovoltaic cells show positive impact on global warming and energy demand. Oxford, 04 April 2018 – Oxford PV – The Perovskite Company, the leader in the field of perovskite solar cells, today announced that its perovskite-on-silicon tandem solar cells, currently being used to conduct a life-cycle environmental impact study, have shown positive first results. The study, commissioned by CHEOPS – a perovskite research project co-funded by the European research and innovation programme Horizon 2020, is being conducted by SmartGreenScans, a CHEOPS member, specialising in Life-Cycle Assessments (LCA) of photovoltaic technologies, to assess the life-cycle environmental impact of the perovskite-on-silicon tandem cells being commercialised by Oxford PV. 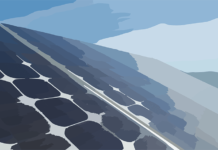 The first results from SmartGreenScan’s study shows that the primary impact of Oxford PV’s perovskite-on-silicon tandem cells on the use of resources, global warming potential and energy demand, comes from the standard silicon device not the perovskite device, added to the silicon device in a tandem configuration to increase the efficiency of the silicon cell. 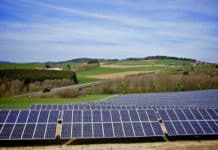 The preliminary results are the first stage of a full “cradle-to-grave” LCA analysis currently being conducted by SmartGreenScans, which will also include the installation, operation, maintenance and end-of-life phases of the photovoltaic module. “We are delighted to be working with our CHEOPS partner SmartGreenScans on this environmental impact assessment of the perovskite solar cell technology, commented, Dr Chris Case, Chief Technology Officer at Oxford PV.